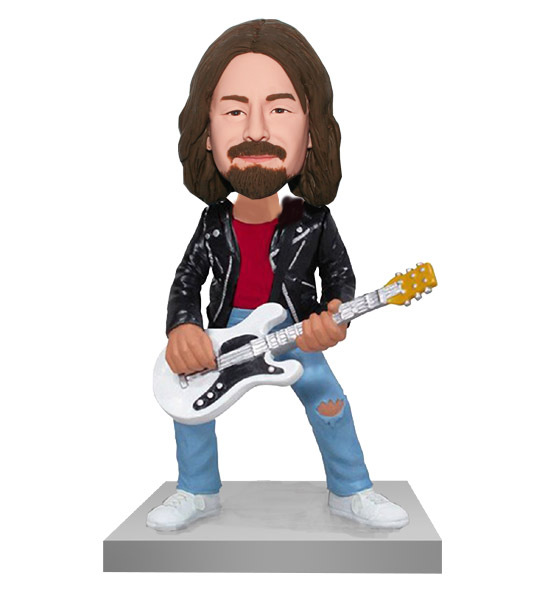 Wearing a black blazer and blue levis with a pair of the white shoes, this customized bobblehead is a guitarist and he is playing guitar. Art is not a handicraft, it is the transmission of feeling theorist has experienced. No matter our feeling sad or joy, music can always comfort us or cheering for us. Especially if a man plays acoustic guitar, he'll become so attractive suddenly. 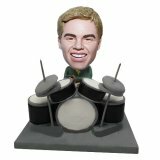 This personalized musician bobblehead is perfect to a guitarist. Otherwise what's more, it's unique and commemorative. 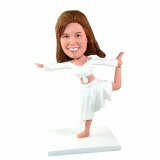 The products look great -- I can't wait to get mine!